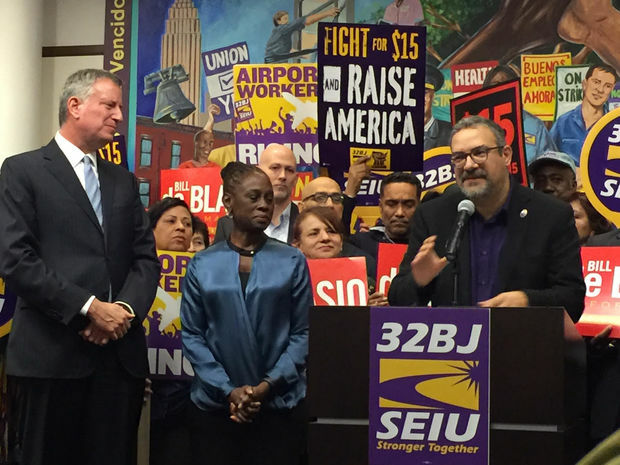 32BJ SEIU President Hector Figueroa has faced criticism for his handling of the dismissal of an SEIU staffer that was found to have assaulted another SEIU staffer. Following an investigation by Payday Report, SEIU has fired one of their staffers over the assault of another staff member within their organization. Payday Report had obtained documents that show how, in the summer of 2014, 32BJ SEIU Local 615, based in New England, investigated then-Assistant Director Pedro Malave for a sexual assault against administrative coordinator Daria Alladio. In July 2014, following an internal SEIU investigation, Malave was allowed to leave the local. He achieved this despite the efforts of Alladio, who advocated to have a permanent record placed in his file. Now, upon learning of Malave’s sexual assault history, SEIU-USWW has fired Malave. “We want to thank Ms. Alladio for her strength and courage coming forward,” SEIU-USWW wrote in an email to Payday Report. Reached late Thursday night, Alladio applauded the decision of the union to fire Malave, but said that she still had deeper questions about why SEIU allowed him to be rehired after an internal investigation had concluded that he had sexually assaulted her. Furthermore, she criticized statements made by 32BJ SEIU President Hector Figueroa that wrongdoers, even those who sexually harassed, deserved second chances. “I now look to SEIU 32BJ to see if they will do the same for current or future victims,” said Alladio. Alladio told Payday that she was concerned by statements made by 32BJ SEIU President Hector Figueroa earlier in the day to Payday. On the basis of labor rights, Figueroa defended the hiring of workers who have committed egregious past behaviors, including sexual harassment. In an email to Payday, Alladio criticized the statements. Later after facing criticism for his statements on Twitter, Figueroa backtracked on his previous remarks to Payday regarding whether people who have committed sexual harassment deserve to be hired elsewhere. “As I have said and we have demonstrated we have zero tolerance for sexual harassment/predators in our union”. “What we want to reiterate to our staff and to the public is we have a very strict policy about how people need to behave on the job,” Figueroa told Payday reporter Max Zahn. 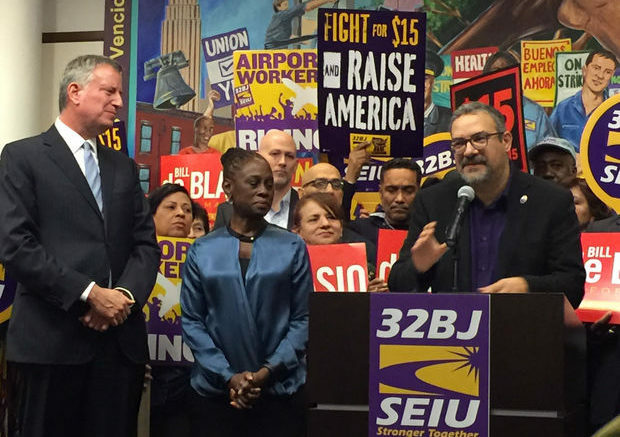 However, questions linger about 32BJ SEIU’s action in the handling of Alladio’s case and whether or not Malave was fired or allowed to leave the union voluntarily without any permanent record that could prevent him from getting jobs at other SEIU locals. “I also hope that the International will take the necessary steps to create a mechanism to ensure that there is more transparency and communication between Locals with regards to crucial information being shared,” she continued. According to SEIU’s own guidelines, the international has the power to prohibit hiring of certain individuals over certain offenses, but sexual harassment or abuse is not included in those situations. This would require a change to the Code of Ethics, a change that many women within the union would like to see. “One concrete step in the right direction would be for the International to amend the Code of Ethics to expand the section concerning Disqualification from service to SEIU or Affiliates to include managers separated or terminated for sexual harassment,” says Alladio. SEIU has appointed a task force consisting of Cecilia Muñoz, former White House Domestic Policy Council director; Fatima Goss Graves, president and CEO of the National Women’s Law Center; and employment attorney Debra Katz, founding partner of law firm Katz Marshall & Banks. The task force will determine what practices SEIU can enact that will stop sexual abuse within its union. Alladio says that she hopes that her experience in coming forward to hold Malave accountable for his repeated sexual assault will encourage other women to take similar steps. Payday Report will continue to investigate sexual assault and misconduct within the labor movement. Anyone who wishes to speak out, either on-the-record or confidentially, may contact us at melk@paydayreport.com or (412) 613-8423. Donate to Payday Report so that we can keep exposing sexual assault and misconduct in the labor movement. Be the first to comment on "SEIU Fires Staffer Who Sexually Assaulted Another Staffer Following Payday Investigation"